Saifuddin Kithclew and Dr Satpal got Hindus and Muslims to drink water from the same utensil. 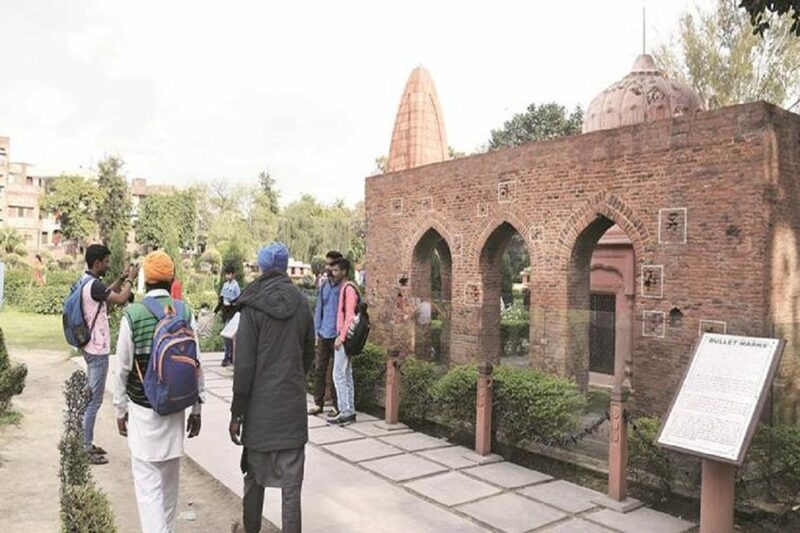 In events leading up to the Jallianwala Bagh massacre on April 13, 1919, there was an exceptional display of communal harmony during Ram Navmi celebrations in the city on April 9 that year that didn’t go down well with the British rulers. In times when public places had separate drinking-water pitchers labelled ‘Hindu water’ and ‘Muslim water’, two local leaders — Dr Satpal and Saifuddin Kitchlew — brought the two communities together to drink water from the same utensil. The act, which was meant to expose the divide and rule policy of the British, angered the city’s then Deputy Commissioner Miles Irving, who ordered the arrest of Dr Satpal and Kitchlew. Both leaders were sent to Dharamshala the very next day on April 10, 1919. The arrest of two leaders proved to be a turning point in the protests against the Rowlatt Act in the city, as the agitation soon turned violent. Dr Satpal had no children, however, Saifuddin Kitchlew had three daughters and two sons. All three daughters were married in Lahore of now Pakistan before partition. A 100 years later as the Jallianwala Bagh Memorial Trust has sent a half-hearted invitation to Huma Dar, niece of Kitchlew for the Jallianwala Bagh anniversary. She is based in US, and is unlikely to make it for the event on April 13. “We had only this address of any member of the Kitchlew’s family. I posted the invitation to her two days back,” said Trust secretary Sukumar Mukhrjee on Monday. Mukhrjee said: “Before Toufique Kitchlew’s death, we invited him once to Jallianwala Bagh for a function. It was back in 90s, when I was sitting in the Bagh, daughters of Kitchlew came to see me as tourists. They told me that Saifuddin Kitchlew was their father as they saw his picture of in the gallery at Jallianwala Bagh.” Toufique Kitchlew had no children. Amritsar Deputy Commissioner Shivdular Singh Dhillon said he had no idea if invitations had been sent to any family member of Kitchlew, as the invites for the event were being sent by the central government. “It was the 100th anniversary and they have been sent an invitation to Kitchlew family only two days back. It is an insult to Kitchlew. They should had been informed in advance and special arrangement was needed to ensure their presence at the Jallianwala Bagh anniversary function. It is half-hearted invitation. Just a formality,” said Darbari Lal.